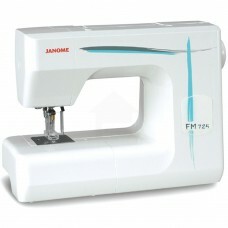 The Janome FM725 is a needle felting machine - a felting machine does not sew, but uses barbed needles to mesh fabrics together. The fibers mingle to create new color and texture combinations that simply cannot be achieved with embroidery, applique, or any other kind of needlework. This needle felting machine does not require thread, a bobbin, or any previous sewing experience.